Love a man in a kilt. Undercover special operative and dragon-shifter Ezra has fallen into enemy hands. He knew better than to stray from the mission, but he couldn’t fight his natural need to protect the innocent. When he senses the desperate call of his mate, there is no stopping this wild, fire-breathing alpha male. He won’t go down without a fight and he’ll destroy anyone and anything that stands in his way of happiness and love. When Ezra saves a young girl, he has no idea that this girl is his mate! Years later, this dragon shifter crosses paths again with Holland and there is no doubt that fate has again brought these two together. 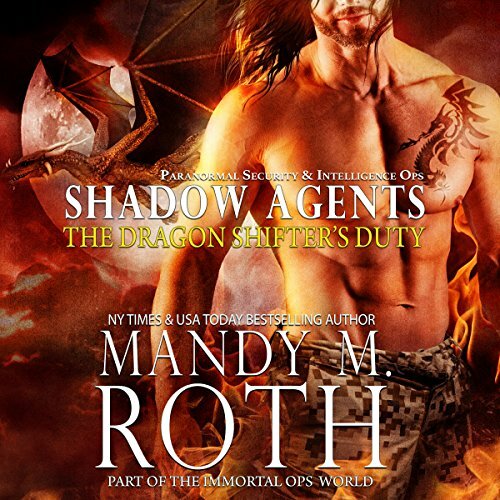 Mandy M Roth continues her spinoff series with Ezra, who is a dragon shifter. She has a way of portraying her heroes with incredible aggressive masculinity, and Ezra is no exception. There is nothing vulnerable about him, except for his love of Holland. Holland is a breath of fresh air, such a strong woman, none of this "come save me" from her. She is capable and smart. These two will do nothing to save each other and opposition is never far away. It is a quick, fun listen. DC Cole is incredible with each of the roles in this story. He is able to bring Ezra to life with that alpha sound, the protectiveness infused in each line of dialogue. He is one of the few male narrators who can then slip easily into the female voice and he gives Holland both the strength and emotions as a woman feels them. A great addition to his library! 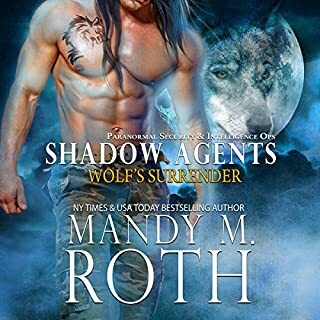 I'm a Mandy Roth fan. It doesn't matter what she writes I'll read and/or listen. In this case, it has been a while since I read the book and had lots of surprises I'd forgotten in the story. The first meeting between Ezra and Holland is when she is very young. He stops on a mission to rescue the little precocious girl. She is more than human but he doesn't have time to delve into it. Let's just say this isn't the last them they will meet. Fate has plans. He's a dragon shifter. He's not sure what she is. He is drawn to her. One of their meetings is when she is captured by the really bad guys he has to save her--well, he thinks he does. She has other ideas. The characters, as always, are likable, witty, alphas and in this case, both are alpha. She takes no guff from her security team or Ezra. These are two characters that I hope show up in future stories so we can revisit them. Well worth the price, credit or cash. 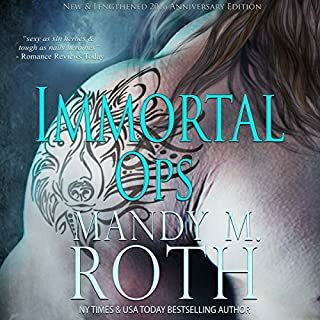 A great escape into the Roth world of Special and PSI ops. Loved this book!!! Excitement, adventure, true love, and a roller coaster of emotions all in one book!! Love, love , love, D.C. Cole’s voice! He kept the story moving along. I just wish there was more story for home to read. Enjoyed this recording a lot! Loved the story and the narration. Ezra meets his mate, Holland, when she is just a child. Typical male though, doesn't recognize the signs for what they are. He "meets" her again on her 21st birthday and almost looses control. Still, not recognizing the signs. It is not until 4 years later when he breaks out of captivity and rescues her again does recognize the signs. Yes there is a HEA, but the journey there is not only 20 years in the making but funny and steamy hot. The audio makes this story even better than when I read it because it really comes to life. This is book 2 in the series and is a stand alone book with a wonderful HEA. I recommend this book to everyone who loves a hot fire throwing love story. The narrator is awesome and bring you into the action. Looking forward to the next book in the series. Happy listening. 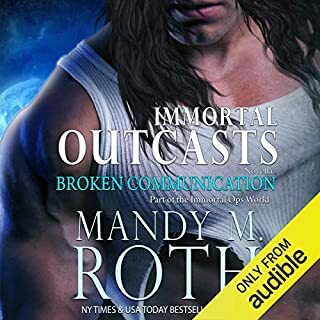 I always get so excited when one of Mandy's audiobooks come out. 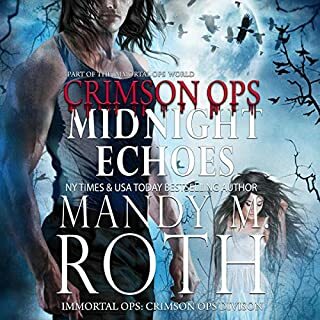 I've read the entire IOPs series more than once, but when the audio comes out, I can't wait to listen to it. I tell her that I stalk Audible waiting for the new one. And I am very happy to say this one did not disappoint. D.C. Cole does a great job as narrator. This is Ezra/Newt and Holland/Sweet Pea's story. They meet for the first time when she is a little girl and he saves her from a fire. They meet again on her birthday 16 years later. That meeting, well let's just say it leads to a "special cuddle". When they meet again a few years later, there are explosions, fire, and gunfire. It makes for an interesting date to say the least. Spend a credit on this one. Spend the money on this one. Well worth it. Once again, I'm stalking Audible waiting for Radar Deception to come out. I received a credit for an honest review.